It often has been said that the only guarantee in life is change. That certainly is true in the medical billing industry. If you don’t stay on top of all of the payer updates and changes, you may find yourself drowning in a pool of ignored or denied claims—or worse, facing a never-ending sea of payer audits. The updates and changes routinely made throughout the industry—from CPT codes to the National Correct Coding Initiative (NCCI) Policy Manual for Medicare Services—affect radiologists and all other providers. For radiologists to be properly reimbursed for the work they do, it is critical for their billing staff or services provider to be up-to-date on all the latest changes and developments. But knowing about all the changes is only half the battle. For a radiology practice to be successful, its billing professionals must know how to adapt as the changes are implemented and must always keep an eye to future changes, including an awareness of the Office of Inspector General (OIG) Work Plan and recovery audit contractor (RAC) issues. 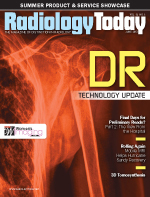 In this article, we will discuss some of the changes happening in 2013, take a look at what’s in store for next year, and talk about what radiology practice billing professionals can do to adapt successfully and prepare for what’s coming. Each year, changes are made to CPT codes and the NCCI that play significant roles in how medical billing is handled. The OIG Work Plan is the third big piece because it suggests what the government is focusing on regarding compliance. It offers information that practices and other imaging organizations can use to ensure they’re in compliance. Updates are made to these every year, with the NCCI edits being updated quarterly in an effort to keep provider billing practices current with evolving patient care delivery methods, increase cost-effectiveness and efficiency, and ensure compliance throughout the health care industry and government-funded insurance programs. • CPT Update: As in recent years, the 2013 CPT updates focus on creating comprehensive codes that package together procedures and their associated imaging services. Examples of this streamlined packaging include thoracentesis and head and neck catheterization. In addition, the thrombolytic infusion codes were completely revamped—another case in which component coding was eliminated. Along with these changes, cervical spine CPT codes were updated to reflect only the total number of views. Thyroid uptake and imaging codes were modified, and parathyroid imaging CPT codes were updated. • NCCI: The Centers for Medicare & Medicaid Services (CMS) created the NCCI to promote correct coding methodologies throughout the country as a way to reduce improper coding that may lead to inappropriate payments of Medicare Part B and Medicaid claims. Every year, the NCCI’s Policy Manual for Medicare Services is updated, and medical billing professionals are expected to review the changes that apply to their areas of practice. A significant change in the NCCI policy manual for radiology-related billing is that coders can no longer assign a separate charge for a postprocedure mammogram, regardless of whether a patient was moved to a different machine or department for the mammogram and regardless of the modality used. In other words, coders can no longer assign a mammogram charge for an ultrasound- or stereotactic-guided postprocedure mammogram. Along with this change, other NCCI updates were made that impact radiology practices that perform vertebroplasty and evaluation and management services. While the updates to the policy manual cover the spectrum of CPT codes, the CMS is making them easier for billing professionals to find by highlighting the changes and updates in red when the manual is published. • OIG Work Plan: The work plan is a collection of projects that will be examined by the Office of Audit Services, the Office of Evaluation and Inspections, the Office of Investigations, and the Office of Counsel to the Inspector General in any given year. The projects pertain to government agencies such as the CMS, which is why health care providers and their billing professionals need to pay attention to it. The 2013 work plan includes a project to review the medical necessity of high-cost imaging tests as well as the frequency rates of duplicate tests ordered by primary care physicians and specialists for the same patient and treatment. • Review and update the order titles as applicable. • Review and update the chargemaster. • Monitor editing systems in place for NCCI edits. • Educate technologists on the updates. Taking these steps will greatly improve the cost-effectiveness and efficiency of billing activities, and most are relatively simple to execute with some careful effort. Because the NCCI edits are updated quarterly, keeping up with them is an ongoing process so it’s never too late or too soon for a practice to get its house in order. After all, it’s better to address problems sooner and keep billing issues manageable. • Carefully review NCCI edits, specifically changes that have been made. • Check the wording contained in the NCCI policy manual. Wording in the manual indicates appropriate coding practices that have been found, in some cases, where an actual edit does not exist. • Thoroughly and frequently educate staff members. • Audit accounts to ensure that the edits are being applied appropriately, and make sure to include audits specifically on modifier -59. • Monitor denials from payers to identify additional possible issues, including lack of medical necessity, unbundling, incorrect code assignment, or changes that were not highlighted in the updates. • Review auditing activity in the industry, specifically the OIG Work Plan and Medicare RAC websites. The big change that everyone in the industry is talking about as we move toward next year is the implementation of the ICD-10 codes on October 1, 2014. The CMS provides information on its website that can help practices get started on ICD-10 implementation. There also are several associations with excellent ICD-10 information. Radiology practices should set aside funds to pay for any internal programming updates and staff education as ICD-10 becomes a reality. Cash reserves to cover any gaps in implementation also should be considered. — Cherie Puthoff, RHIA, CPC, RCC, is director of coding for HealthPro Medical Billing in Lima, Ohio, and has more than 10 years of experience in the medical billing and health information industries. — Wendi Hampp, RCC, is a coding compliance specialist for HealthPro Medical Billing, focusing on auditing and monitoring coding updates, training, and ongoing coding staff education. She has 12 years of experience in health care.